13 years = 12 months BRP Limited Warranty + 24 months B.E.S.T. Coverage. Units sold in the Snowbelt region and warranty registered between Oct. 1, 2018 - May 31, 2019 will see their promotional warranty coverage expire on May 31, 2022. †Get 2-YEAR COVERAGE on 2019 and prior models. 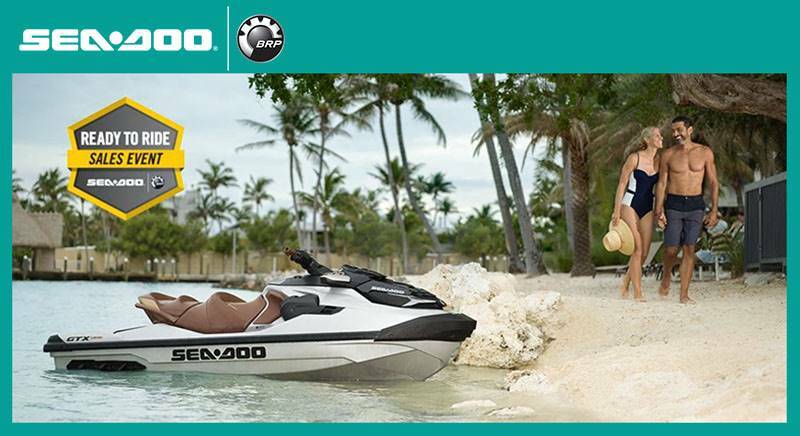 Eligible units are new and unused 2019 and prior Sea-Doo watercraft models. The buyer of an eligible model will receive a 12-month BRP Limited Warranty plus an up to 12-month B.E.S.T. Coverage. Florida residents receive 36 months BRP Limited Warranty. Subject to the exclusions, limitations of liabilities and all other terms and conditions of BRP’s standard limited warranty contract, including without limitation the exclusions of damages caused by abuse, abnormal use or neglect. B.E.S.T. service contract is subject to a $50 deductible on each repair. For complete details, please see the BRP limited warranty and the B.E.S.T. contract at an authorized BRP dealer. †† Rebate of up to $800 on select 2018 models. Eligible units are select new and unused 2018 Sea-Doo models. Rebate amount depends on the model purchased. While quantities last. ©2019 Bombardier Recreational Products Inc. (BRP). All rights reserved. ®, ™ and the BRP logo are trademarks of BRP or its affiliates. In the U.S.A., products are distributed by BRP US Inc. Offers valid in U.S.A. only from April 1, 2019 to April 30, 2019.. The terms and conditions may vary depending on your state and these offers are subject to termination or change at any time without notice. Offer may not be assigned, traded, sold or combined with any other offer unless expressly stated herein. Other conditions may apply. Void where prohibited by law.